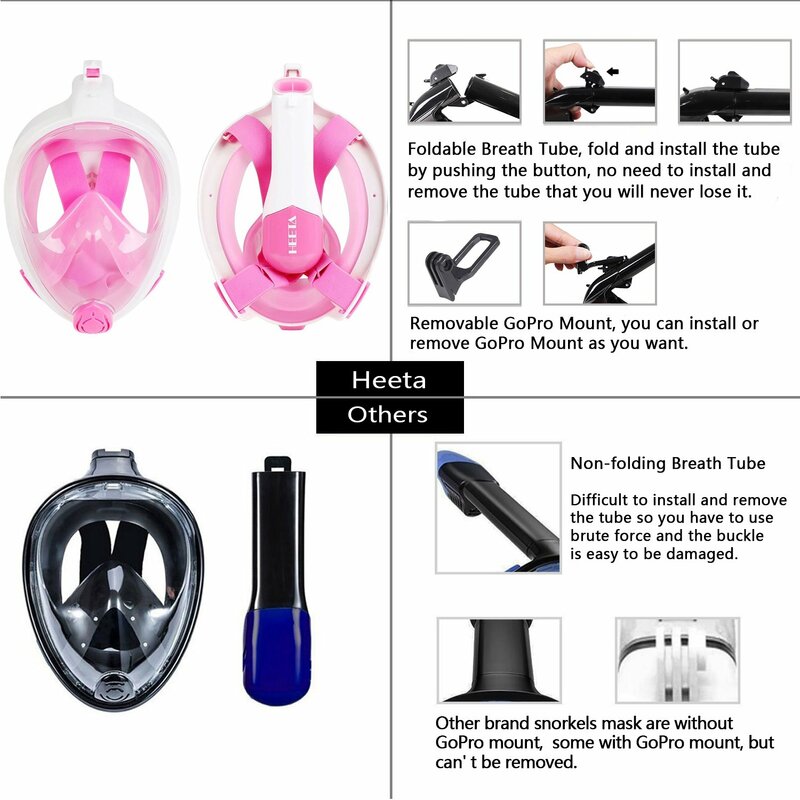 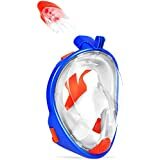 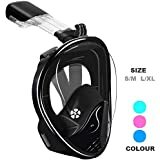 • 【Updated Foldable Snorkeling Mask】 Foldable dry breathing tube is very portable and convenient, more effectively prevent water from ingress. 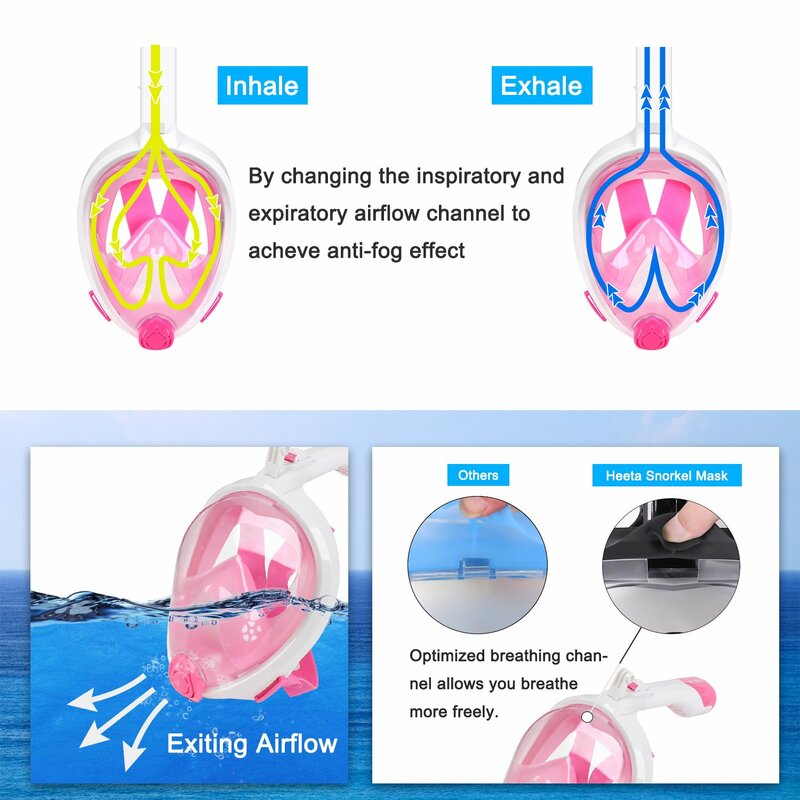 Optimized breathing channel makes you breathe more freely. 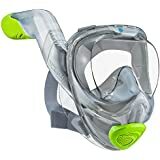 • 【180° Panoramic Full Face Snorkel Mask】 180° Plano lens design provides wider and more clear vision, without deformation, let you enjoy a more comfortable and reality scene. 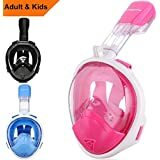 Some kinds of curved lens probably makes everything in front of you seem to be farther away than normal, it may cause dizziness and headache. 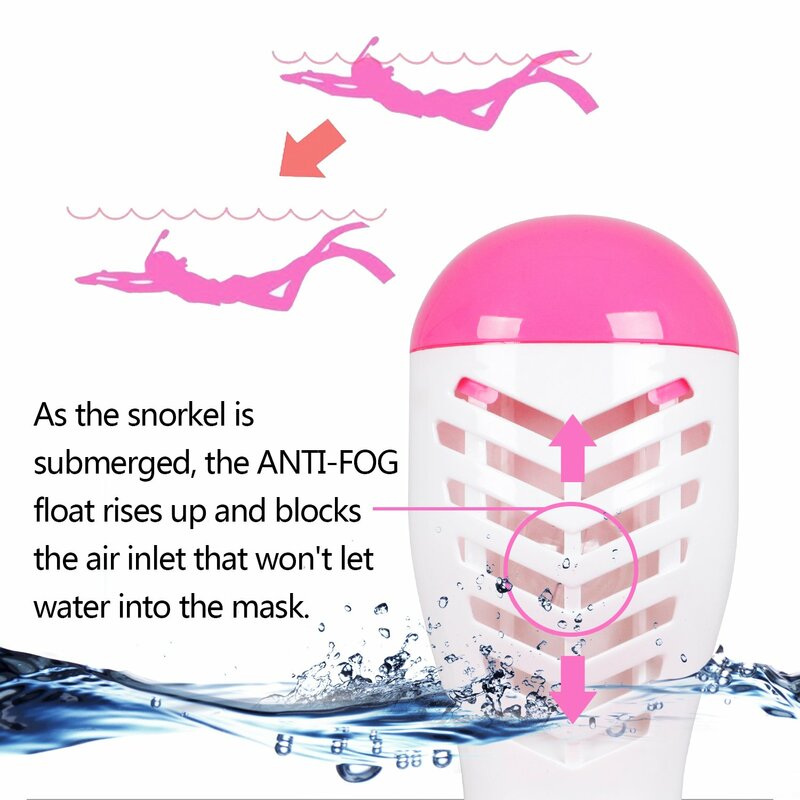 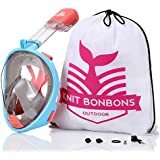 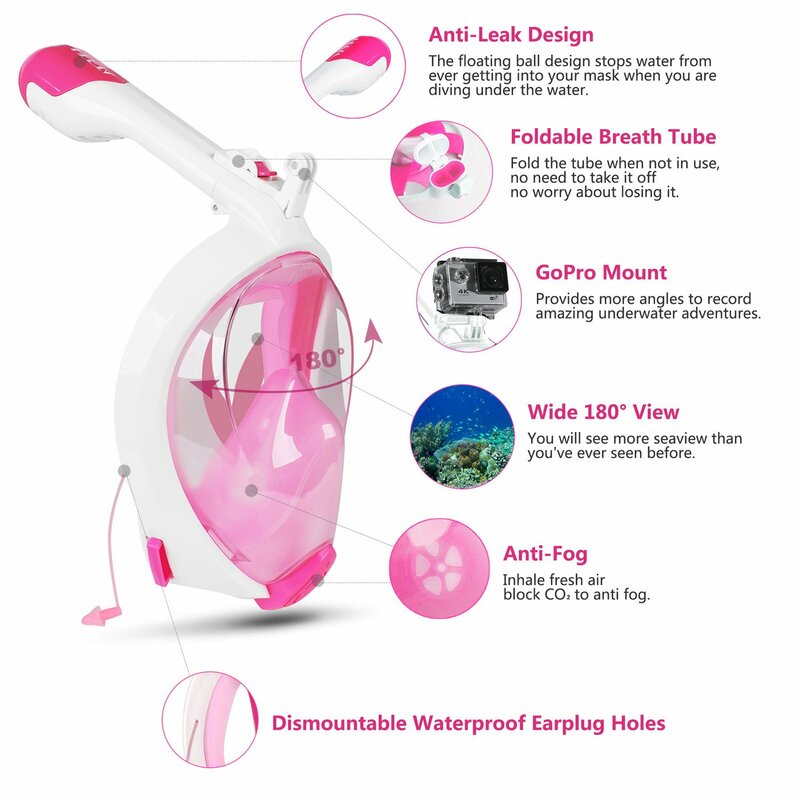 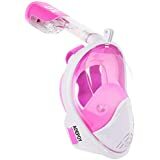 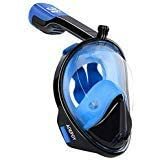 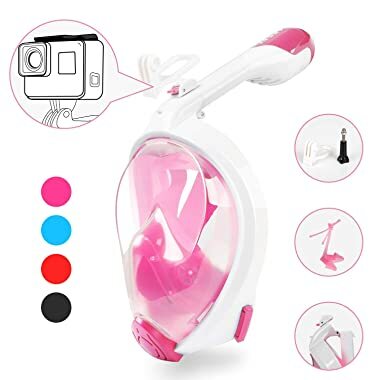 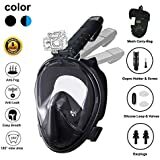 • 【Dry Snorkel and Anti Fog】 Separate inhaling and exhaling channels provide a dry and comfortable breathing environment, stops snorkel mask from fogging up in physical. 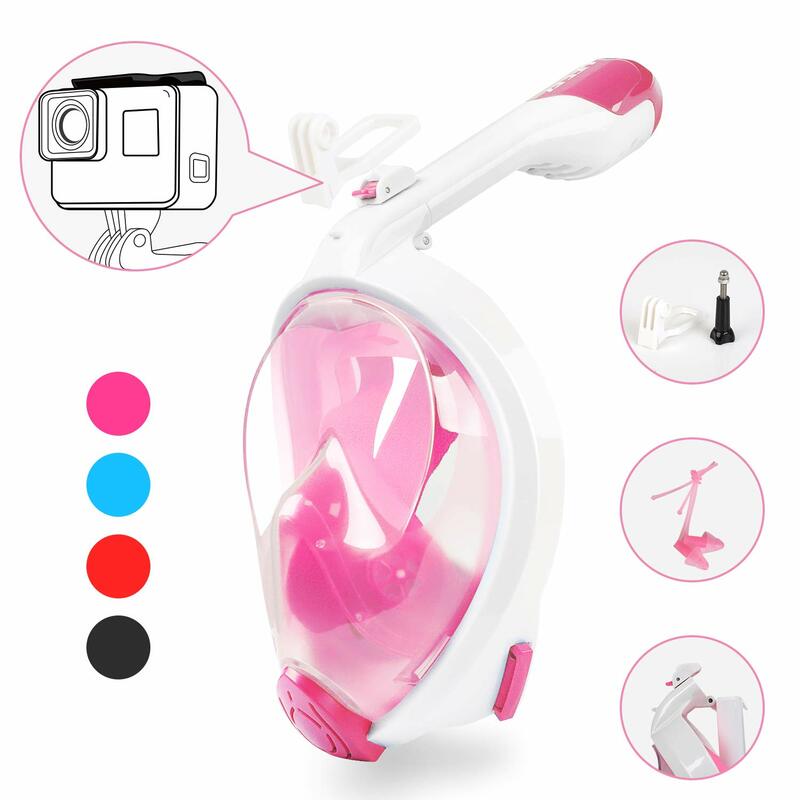 Comes with additional Anti Fog mist spray, can be used to the mask in low-temperature environment by adding water into the spray bottle. 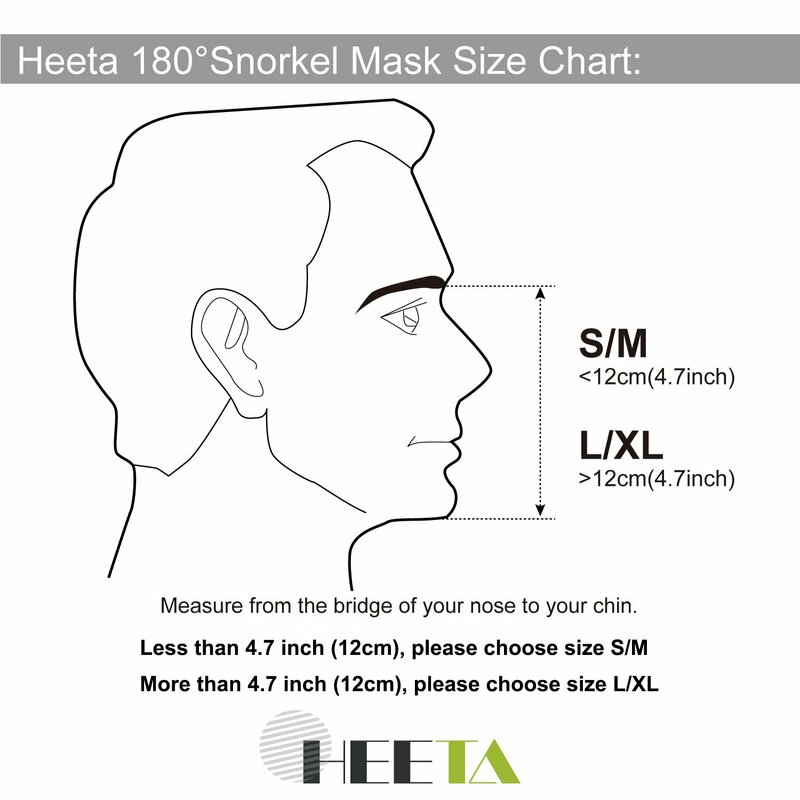 • 【Beginner and Youth Friendly】 Easy to wear, breathe freely, not only for experienced swimmers, also be good for beginners. 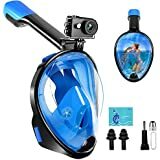 Comes with a detachable Gopro holder, can easily attach your action camera to record your wonderful diving experience. 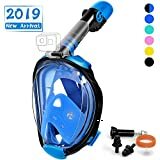 • 【Complete Fittings】Comes with 9 free gifts - 2 replaceable plugs, 1 cell phone waterproof case, 1 Anti Fog mist spray, 1 lens wiper, 1 detachable GoPro mount, 1 set screw, 1 pair detachable earplugs, 1 backpack.